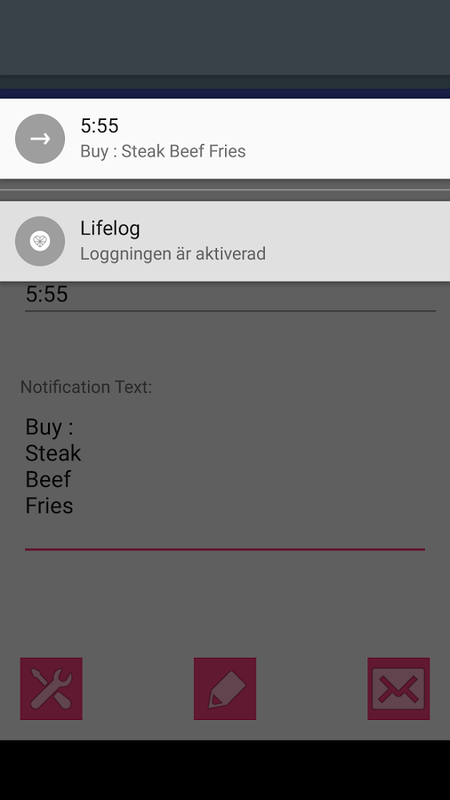 Simple to use and works instantly.Simply put in your notifications(example “What to buy”), and what text you want it to display(example “Milk, Bread, etc.”)!Its fully customizable and it workswith android wear! How often do you forget to do something? With this app you can JUSTREMEMBER EVERYTHING that you want to do, and improve yourproductivity! You can easily control all the tasks that are in yourto-do list, and be sure that you will do them. ★ Easy to use andstraightforward reminder & to-do list app. Made for those whowant to set up tasks super quickly. You do not even have to takeyour phone out of your pocket, you can just set reminder right fromyour android wear smart watch. 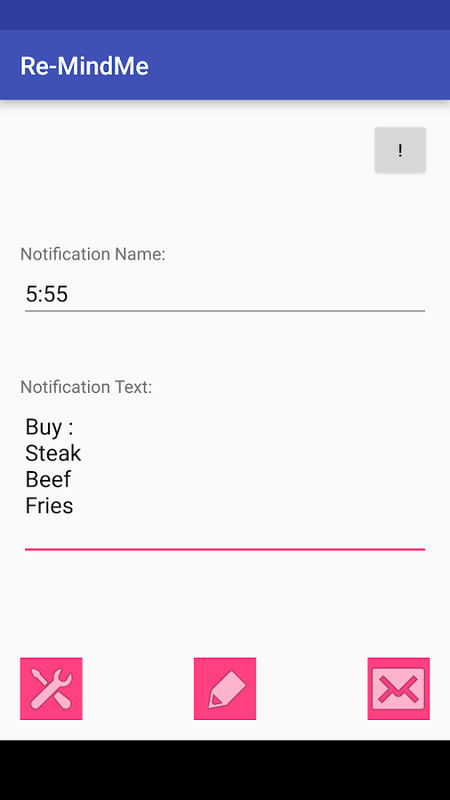 Also you can use it as notes app.Key features: • Repeating / Recurring Tasks • Birthdays • Alerts •Snooze tasks • Mark tasks with colors • Notes • CustomizableWidgets • Calendar with reminders • Missed call reminder • Androidwear smart watch support: create reminder with voice recognition,snooze or complete it right from smart watch • You can set areminder every hour, for example, "drink water." This can help youto drink more water and feel better • much more! ★ Now you can addbirthday or anniversary. Import birthdays from contacts andsynchronize them so they are always kept safe and never lost. Youcan easily view all the birthdays on the calendar. Previousapplication name is Bzzz. l.ist is simple. Just make one list. Or two. Or ten. Keep track ofwhatever's on your lists. Groceries. Clothing. Birthday wishlist.Even have it remind you before you leave the store to make sure yougot everything. Like we said, that simple. Oh, and you can changethe list color. If you're into that. And if you have Android Wear,view your list from your watch. If you like reading lists from yourwrists.